The aim of this study was to investigate the association of anxiety and depression symptoms with health related quality of life (HRQoL) and sleep quality in patients with beta-thalassemia. In a cross-sectional study between 2006 and 2007, 292 thalassemic patients were assessed for symptoms of anxiety and depression (Hospital Anxiety Depression Scale; HADS), HRQoL (Short Form-36, SF-36) and quality of sleep (Pittsburgh Sleep Quality Index; PSQI). Linear regression models were used to determine possible predictive value of high anxiety and depressive symptoms on HRQoL and sleep quality, separately. Mental and physical quality of life scores were predicted by symptoms of depression and somatic comorbidities. Total sleep quality was predicted by anxiety symptoms and somatic comorbidities. 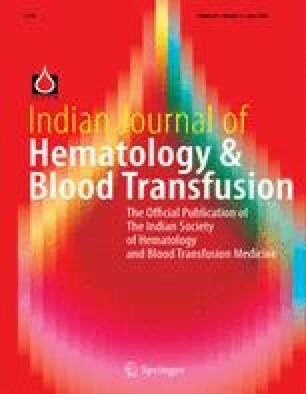 Screening for anxiety and depression in patients with thalassemia is essential. Further studies should test if appropriate treatment of these conditions may improve patients HRQoL and sleep quality or not.